The Latina Golfers Association is committed to empowering women and girls by developing their leadership skills through golf. The LGA introduces women to golf for their professional development, personal enjoyment, and to promote a healthy lifestyle. The LGA teaches women how to utilize golf as a business tool in order to shatter the glass ceiling with a golf ball. Over 1400 women have been introduced to golf through the LGA’s golf curriculum, golf clinics, lessons, outings, and events. The LGA provides networking opportunities with business and community leaders and influencers for our members, including students. Women from all walks of life are members of the LGA network including corporate professionals, entrepreneurs, attorneys, physicians, educators, media professionals, non-profit professionals, bankers, engineers, scientists, elected officials, retirees, and students, to name a few. The LGA eliminates the intimidation factor surrounding the game of golf. Our goal is to make golf accessible to women by conducting affordable golf clinics and lessons for newbies and beginner/intermediate players. We instruct women on the basics and fundamentals of golf. We teach them how to grip and hold a golf club, how to swing, how to putt, chip and play out of a sand trap. Our members are taught about golf etiquette, pace of play and keeping score. We follow-up the clinics with regularly scheduled golf play outings at various courses. The Latina Golfers Association teaches women hot to utilize golf as a business tool. 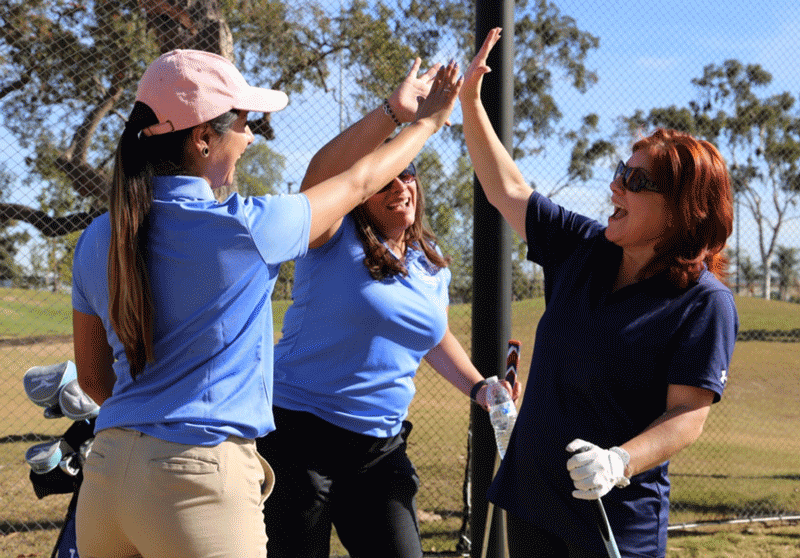 The LGA prepares women to participate in Business Golf Outings and Charity Golf Tournaments in order to take advantage of the networking and business opportunities afforded on the course.